When I was a new yoga student, no wall was safe from handstand hops. No late night party was inappropriate for a boast of my inverting prowess. No back patio was free from attempts that embarrassingly proved those boasts wrong. I craved handstand and I didn’t know why or for what purpose. Aside from the few who seem to learn to press-up before they can walk, inversions and arm balances demand hard work sustained over time. Often, we have more failure than success. Faced with the difficulty of these poses, we are forced to confront our physical limitations and capacity for patience. To eventually execute a tough pose you have to commit to incremental, repetitive, and consistent practice that compassionately navigates into the places that confuse and scare you. The last time I checked, that’s exactly what we need to ensure the discipline and focus of our daily mat time. 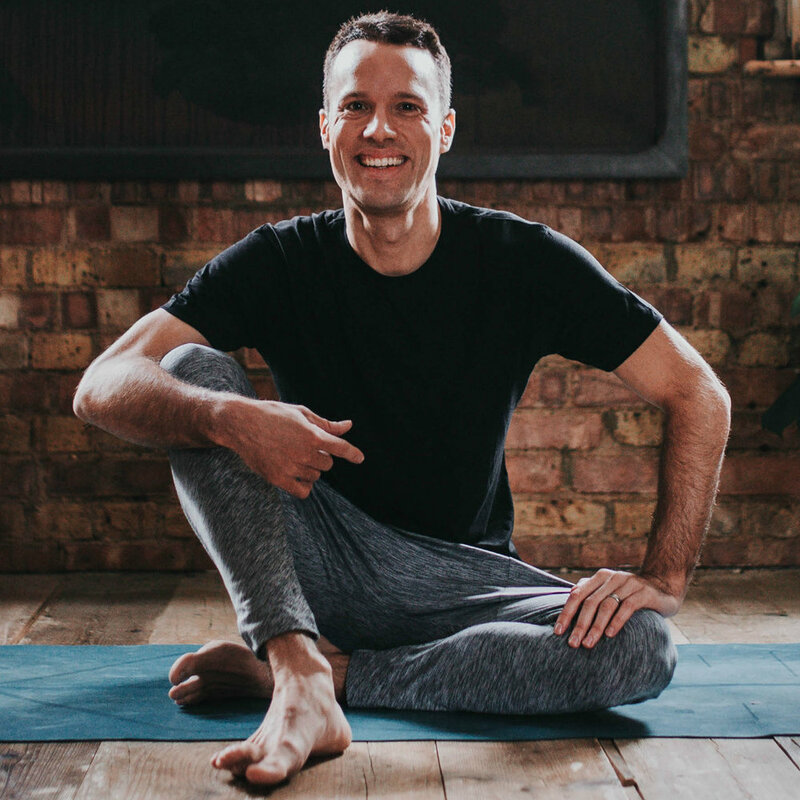 Tough poses keep us engaged over time and allow us to see tangible progress in a practice that is often subtle and intangible in its benefits. These days, I always have a tough pose or two I’m working on to serve this discipline-building purpose. Sometimes you reach the big pose for the first time and you freak the F out and curse and fall, sometimes you revel in the excitement, and sometimes you realise it’s no big deal at all. I’ve seen students invert with my help for the first time and see a Marie Kondo-like joy spark within that maybe had been dormant for a long time. How many negative thoughts and feelings of inadequacy might that little bit of joy squashed? I think it’s okay to put virtue and spirituality aside and just acknowledge that these poses are fun and why shouldn’t we have a little fun in our lives? Of course, tough poses can also not be fun if they confuse and aggravate you, but there’s a strategy to stay out of that headspace. Tough poses should not be alienating and divide the class into competent and incompetent yogis. Let’s maintain a sense of humour and an inclusive approach to practising and teaching them. Let’s avoid ideas like ‘the full expression’ of a pose. In my opinion, any attempt that works kindly and sanely within one’s natural limitations to approach and practise the pose is the pose. Handstand can be handstand in the center of the room or at the wall. Handstand can be handstand while held by a teacher or friend. Handstand can be handstand lying down on the floor. Handstand can be handstand while seated, breathing, and visualising the attempt. This broad inclusivity can keep us out of beating ourselves up and hopefully keep us in the joy of the practice. Every pose has numerous ways of changing the orientation to gravity and amount of support. Where there’s a wall, brick, or helping hand… there’s a way. As teachers and students, when we have a room full of yogis of different ages and skills practising a tough pose in a variety of imaginative ways we should wonder at the diversity of expression. Despite all that makes us different from the person on the mat next to us, we are essentially on the same path. When it comes down to it, your ability to practise handstand or crow has little impact on your life - I’ve yet to see it called for in a job interview. What does matter is how we use these poses to understand more about ourselves and each other. That to me is far more interesting than a selfie boasting of our achievements. So what pose are you working on, and what are you going to learn from it?